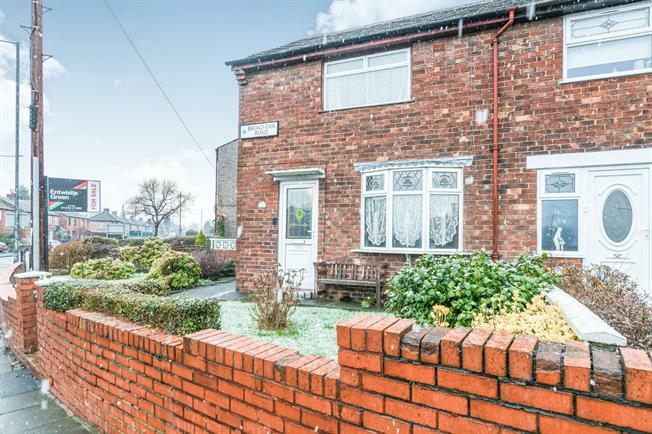 2 Bedroom End of Terrace House For Sale in St. Helens for Asking Price £75,000. Set back from the road, on a generous plot. This extended two bedroom end terrace is spacious in size and will make a great first home or investment opportunity. The property has great amenities and transport links and comes with front, side and rear gardens. In brief the property comprises of entrance hall, through lounge, extended kitchen to the ground floor. Upstairs there are two bedrooms and a bathroom. The property also benefits from being double glazed and gas central heated. Offered with no chain, please contact 01744 21962 to arrange a viewing.